Those were the last words of Hauwa Liman before she was abducted by Boko Haram terrorists alongside other health workers on the 1st of March 2018. 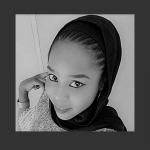 She had recorded the words in Hausa language and the audio clip which went viral left the masses of the Nigerian cyberspace in shock, disbelief and utter consternation. Her trembling voice pierced through our innermost parts in a visceral manner that evoked vivid imaginations of the dangers faced by many of our compatriots in the conflict infested North East region. Last week she was reportedly executed by the terrorists at the expiration of the October 15th deadline given to the Nigerian government. She is the second aid worker to be killed by the terror group in two months after her colleague Saifura Hussaini was killed on the 16th of September. The media reported it alright, there was the usual outrage on social media and the Bring Back Our Girls campaign led by Oby Ezekwesili even marched in protest to the presidential villa where they reminded the president that they were once a campaign slogan and a pledge. The usual lines often regurgitated by official spokespersons to absolve the government of blame. They are just as pale as they are irritating. So much for assurance, so much for succor and hope to numerous grieving parents whose loved ones are held in captivity by these mindless killers. Sadly, that was just about it. We seem to have moved on to the next and little may be heard of Hauwa going forward. While the media is obsessed with serving us the daily sound bites from callous politicians, we are too engrossed to bother about the depraved activities of a murderous sect. Oh yes, we are approaching the elections, the campaign season is taking off, we are now in that period when every sensibility and even humanity is lost to politicking. They will regale us with tales of how the insurgents have been technically defeated. How they are now reduced to attacking soft targets but we have witnessed the deaths of Mohammed Yusuf, Momodu Baba and perhaps even Abubakar Shekau yet Boko Haram remains a threat, the scourge continues to ravage many communities in the North East albeit intermittently. As I write about 100 Chibok girls are unaccounted for, while thousands of other children including Leah Sharibu who was abducted in Dapchi are still missing. The enormity of the problem becomes even more profound considering that Hauwa wasn’t kidnapped in some nondescript region deep in the dreaded Sambisa forest. No, Hauwa was snatched in a supposedly secure military environment. The Jihadists had brazenly attacked the town of Rann which is host to a military base and the IDP camp where she worked, killing a number of soldiers and aid workers in a way that further exposed the frailty of our ill-equipped defence forces. But consider this; Kamene Okonjo, the mother of ex-finance minister Ngozi Okonjo Iweala was released after five days in captivity when the full weight of our security forces was unleashed in Delta state moments after she was abducted whereas Chibok parents and others who have kids in captivity continue to live in despair. Just put yourself in the shoes of the Liman family for a moment. You can imagine a situation where a devastated father is appealing for a ‘proof of death’ from terrorists in order to get a last look at her angel and to bury her according to Islamic rites. The thought of such pain is the reason we cannot afford to relent, focus on the issue must be allowed to wither away under the campaigns. This is even more so for those conversant with Northern Nigeria, for we are better apprised on the magnitude of the dilemma. We can attest the vast complexity of the region, especially the poverty-stricken North East. A land where the most vulnerable members of the society are susceptible to doctrinal malleability and often used by unscrupulous politicians to achieve selfish ends. 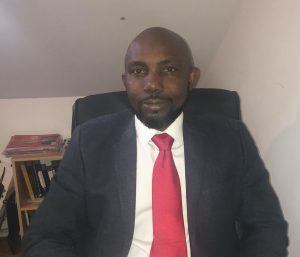 Mohammed Yusuf the late founder of Boko Haram capitalised on this canker to gather huge followership. He was so powerful that he nominated cabinet members for the Borno state government. A pointer to the ugly truth that beneath the facade of religious ideology lies a brutal and opportunistic political agenda. That is why we have so-called political leaders from the region walking along the corridors of power. Men like Ali Modu Sheriff and serving Senator Ali Ndume have at one time or the other been directly accused of sponsoring Boko Haram activities. But they are free men, they wine and dine among the most powerful in the country today and their daughters attend Ivy League schools on the other side of the Atlantic. We also have politicians like Atiku aspiring to lead the nation even when his kinsmen in Adamawa are perennially haunted by the dark shadow of terrorism. How is it possible that his interests and investments in the region are intact in the midst of all these atrocities by Boko Haram? How long shall we endure the incessant invasion our schools, and IDPs to abduct hapless women and children? When will this government bring the promised end to the devastating suicide bombings in churches, mosques, bars, parks, and markets? President Buhari has gained notoriety for his slow response to burning issues. An unfortunate and frustrating style that is eroding much of his hard-earned reputation as a strict soldier. The seeming helplessness of his administration in the face of these persistent attacks should be giving him insomnia and if it is not then it is our duty to continually remind him of his pledge “to stamp out Boko Haram and all other terrorists of whatever persuasions and bring all sponsors to justice.” He is a military general and security is supposedly his strong point, so he should know that without a deeper interrogation of the latent factors behind this madness, then bringing it to an end is only a pipe dream. No sane society will allow this to continue. No responsible government should continue to condone it because it is the primary responsibility of any government to provide for the safety and security of its citizens. And Buhari himself affirmed this in a 2013 BBC interview when he specifically blamed the previous administration for the killings in the north by positing that “insecurity generally should be blamed on the Federal Government”. Hauwa was only 24, she became a nurse at an early age and was truly dedicated to her work of assisting women in her region to bring lives into the world in their most painful and vulnerable moments. Someone tweeted that she did not deserve us, I agree but I also hope like her father that she is still alive so that she would not have lost her life in the service of an undeserving nation. There are very few in our material world today who will choose the risky path of selfless humanitarian work in a conflict zone. Those who work hard to make our world a better place must be appreciated. They cannot be the children of a lesser god. 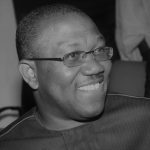 Previous article Can Peter Obi begin the healing of Igbos?